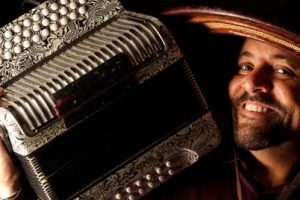 If I could magically have the talent to play any instrument in any type of group, I would play washboard in a zydeco band. Queen Ida was the first female accordion player to lead a zydeco band. Favoring a 31-button accordion, she is noted for her melodic playing, and for focusing on the treble side of her instrument, which makes her style similar to Mexican playing styles. Though like many other zydeco artists of the ’80s, her music was well grounded in Creole traditions, she also integrates Caribbean, Cajun (with the addition of a fiddle to her Bon Temps Zydeco Band), blues, and other genres. She came to music rather late in life. Above is “Grand Mamou” and below is “Jambalaya (On the Bayou).” I always wondered about that song. It’s great, of course. It seemed discordant that it was written by country star Hank Williams. Was he talented enough to write an authentic song in a completely different genre than the one for which he was known? 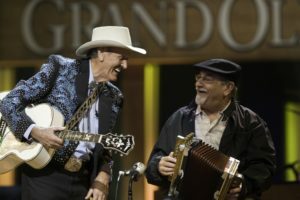 Do zydeco and cajun artists accept the song as authentic, or do they play it because it is expected by audiences?